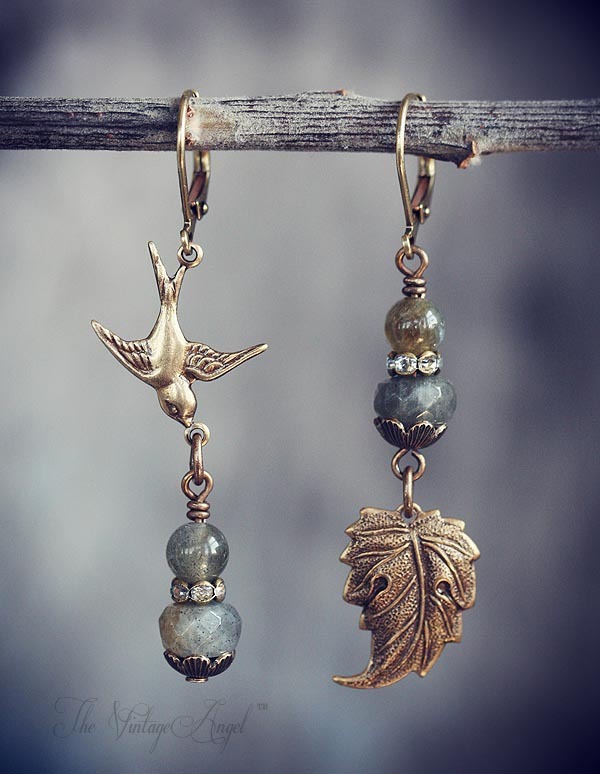 Asymmetrical whimsy in aged brass paired with earthy, natural genuine labradorite beads. 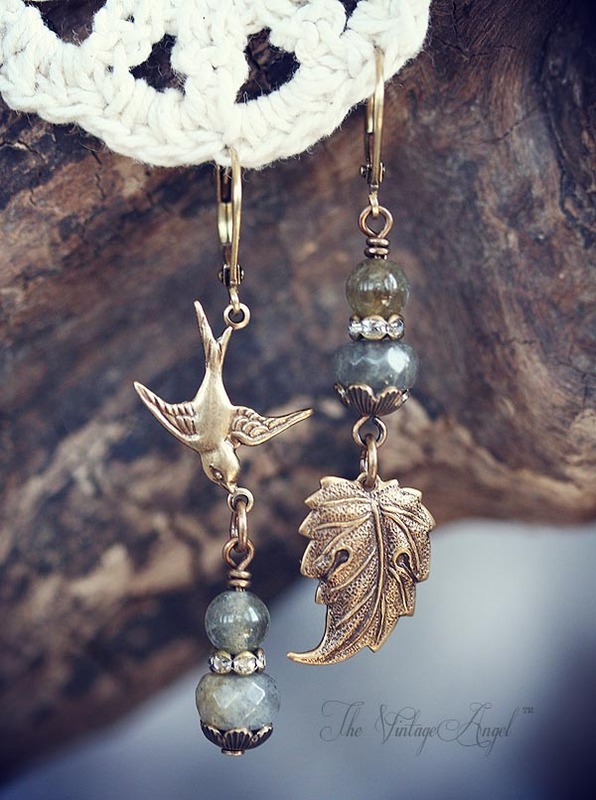 A bird in flight and a detailed leaf make up this unique pair of asymmetrical earrings with antique brass leverback hooks for pierced ears. 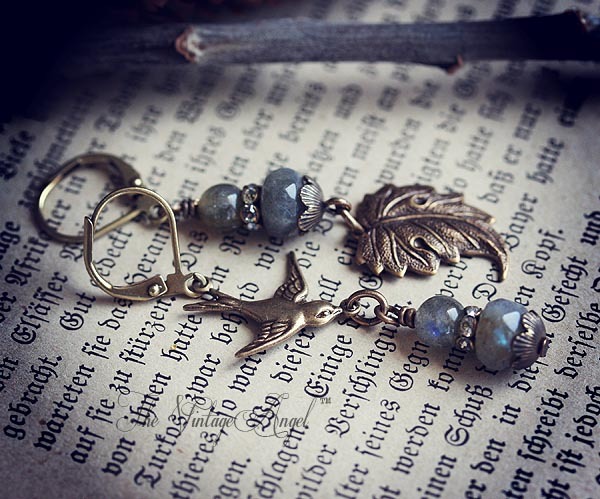 About 2 inches long including hooks.